Posted on Monday, April 13, 2015 by "T". 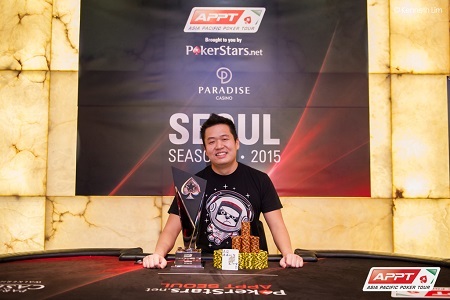 The third and final day of the Asia-Pacific Poker Tour Seoul (Sourth Korea) Main Event saw the return of 13 players, and within 40 minutes of play the final table of nine players was set. Posted on Friday, April 10, 2015 by "T". 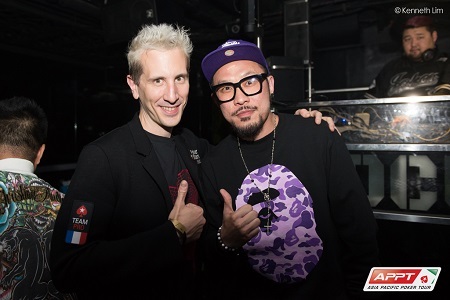 Team PokerStars Pro Bertrand "ElkY" Grospellier and award winning rapper MC HotDog (check out his poker song POKER STAR) and several other poker pros and celebreties are currently in South Korea for the 2015 Asia-Pacific Poker Tour Seoul.